It is essential that you bring a torch, broad-brimmed hat with sun visor for all round sun protection, sunscreen, swimming costume and towel, good walking/trekking shoes and a personal 1.5L water bottle. You will also need to bring a sleeping bag. 10ºC sleeping bags are available for sale at $35pp – these must be requested with our office prior to travel and can be kept following your trip or donated to local indigenous communities. The Aboriginal Wulna-Limilngan cultural experience is only available during the dry season (April/May to October) as site is subject to flooding. Participants may be absent due to cultural commitments with minimal prior notification and Wild Expeditions reserves the right to amend the itinerary in these circumstances with no obligation to refund. 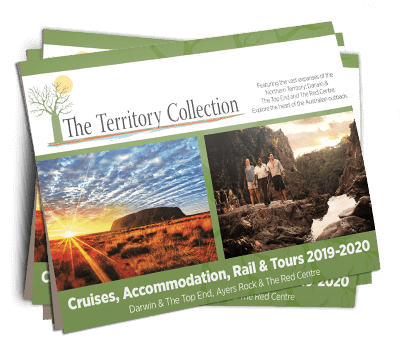 Itineraries may vary and/or attractions be substituted for any cause including seasonal conditions (including the opening and closing of Jim Jim Falls and other natural attractions), weather extremes, traditional owner and national park requirements. Please note that the opening dates of waterfalls and attractions vary each year and can change on a daily basis during the wet and shoulder seasons. During the shoulder seasons (Apr, May, Sep and Oct) it is likely that you will experience temperatures of over 35 degrees Celsius with high humidity. Be prepared to endure extra physical stress due to the heat at these times, especially while on walks. These extreme temperatures can also place stress on the air-conditioning units within our vehicles which can make travelling uncomfortable. Your tour guide will assist with regular breaks and information to assist keeping hydrated. Please come prepared for all extremes. Due to vehicle weight restrictions, a strict luggage limit of 10kg applies for all tours in Kakadu National Park. Please arrange storage of excess luggage at your Darwin accommodation. Nights 1, 3 & 4 We stay overnight in Explorer Tents at our conveniently located private wilderness camps. The Explorer Tents are simple permanent twin share tents with bed blocks and sleeping mats. Sleeping bags are required – you may bring your own or pre purchase with our office. Shared ablution facilities are nearby. Night 2 Tonight we camp at our private camp at Garnamarr. This camping involves tourer-style tents pre-erected on platforms and featuring twin stretcher beds. Sleeping bags are required – you may bring your own or pre purchase with our office. Shared ablution facilities are nearby.